This topic has 31 réponses, 0 participant, and was last updated il y a 8 ans et 2 mois by Nellie. 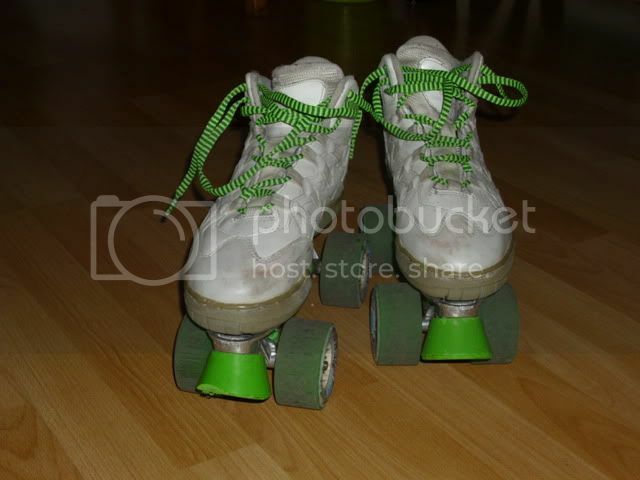 I’m thinking about getting new shoes to mount on my Starway skates (not for slalom, but for regular street skates – now that the weather has finally become better :D). The ‘Marathon’ boots the skates came with eight years ago have become very soft and wide and they’re finally starting to fall apart. I’ve read the article about what kinds of basketball boots to pick, but it’s a bit difficult to find leather boots for women/in my size (38 or 39). Do you think these kid’s shoes would be any good? http://store.nike.com/index.jsp?country=FR&lang_locale=fr_FR&l=shop,pdp,ctr-inline/cid-102902/pid-293894/pgid-331557#l=shop,pdp,ctr-inline/cid-300/pid-293895/pgid-263703 Is it a problem that there’s ‘Phylon’ in their soles? I know that you all know everything there is to know about basketball boots for skating, so I’m looking forward to reading your opinions. That seems to be a good pair of basketball shoes. What do you think about that article ? Hi Nellie, I bought the same pair for my daughter in size 32, few month ago. It’s a really good one. Enhance foam at the ankle, and strong maintain (i bought this model cause my daughter has fragile ankles). 😳 I knew I’d seen that somewhere, but couldn’t find it yesterday. Thank you very much!! abi, thanks a lot for confirming that they’re good boots. I really hope they’ll fit me. I just got my new boots – 😀 😀 !! And they fit 😀 😀 😀 , and look good and feel comfy 😀 😀 . I hope one of my skate-mates is going to help me mount them on Sunday. I’ll definitely need help as I’ve never done this before. Great, I’m happy for you. To mount your skates, feel free to ask all the questions. We are here for you. That’s good to know. Thank you!! Actually I have a question already: Are these the right screws: ? I won’t be able to use my old screws at the back, because the soles of the new boot are thicker. Size 4×50 or 4×40. 4 is the diameter (mm) and 40 or 50 is the length (mm). Good, it’s the right kind of screw then. I wasn’t 100% sure after seeing the picture in the article. Thanks a lot again!! Good luck for the mount!!! Please send us some pictures of the result for our collection! Thanks, so do I 😉 . 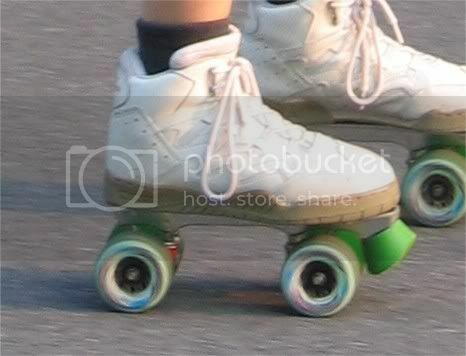 Since I changed the bearings yesterday, even those are green.